Cadbury, the official treat provider the upcoming London Olympic and Paralympic Games 2012, announced a massive campaign entitled ‘Spots v Stripes’ for the UK to promote its involvement with the international sports event. Cadbury’s Spots and Stripes ‘Catch’ campaign created a buzz and got everyone involved in active games in the lead up to London Olympics 2012. 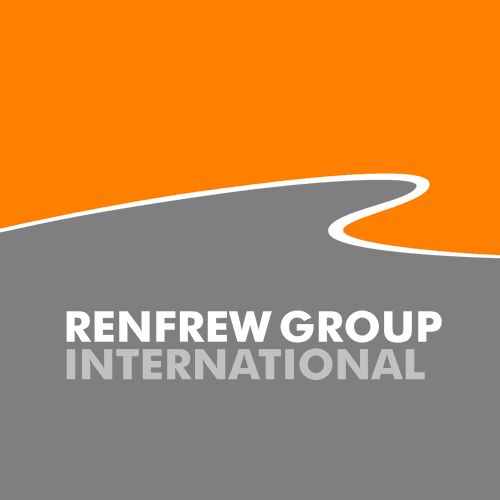 Renfrew Group International was asked to create 100 soft but durable polyurethane balls to house a GPS tracking device which allowed interactive on-line participation. Designed, tooled and manufactured in less than 6 weeks, the balls made their way to goals at either end of the country. Dubbed Spots v Stripes – as 50 of the balls were spotty and 50 stripy – the “play experiment” was conceived to see how far around the country each ball could go in a set period, with participants urged to look out for one, send in a photo of themselves holding it, and then pass it on to somebody else to take further away. And it was automatically tracked via GPS so there could be no cheating! RGi designed the balls to be resilient and durable for the world’s biggest game of catch. Moulded from tough PU foam with the RGi low volume production system, they also withstood the world record breaking, highest ever catch. The balls were dropped from a giant crane over 100m high above Wembley National Stadium. With the balls reaching an amazing terminal velocity two great catchers: Gavin Henson & David Seaman, would attempt to catch them. See this by clicking the link above. The record-breaking moment marked the launch of Cadbury Spots v Stripes’ nationwide game of Catch. It was, essentially, the world’s biggest game of catch! Renfrew Group’s in house expertise covers plastics and metals mechanism design, mouldings development from rapid prototypes to low volume and high volume, special tooling design, aluminum, tooling board, steel.etc. Polymer expertise is strong and innovation is core to our activities. Innovation, Creative Styling, Sketching, Modelmaking, CAD Modelling, Photorealistic Rendering, Animation. Subcontract Electronic Design and Prototyping.